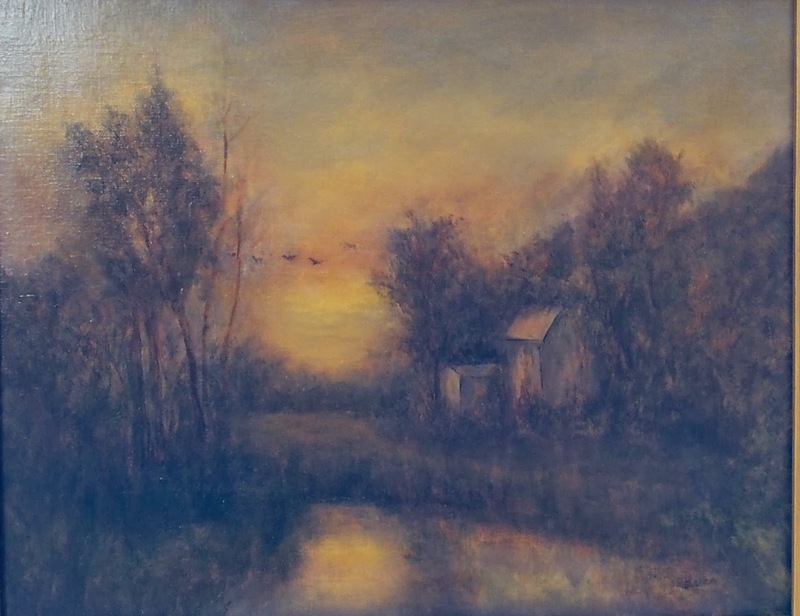 The Lyme Art Association is currently hosting two shows, the 22nd Annual Associate Artist show and the Winter Wonderlands show running from January 10 to February 22, 1214. 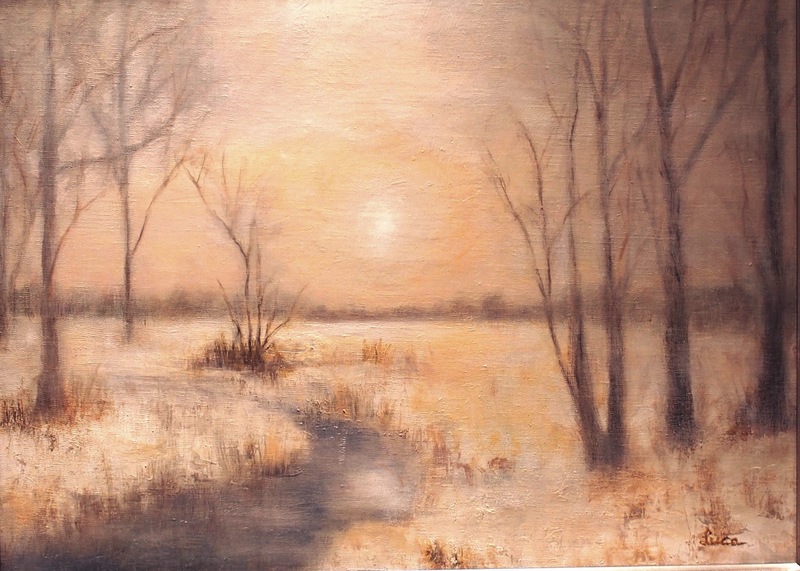 My Winter Wonderlands entry "Winter Silence" was accept and sold on the 3rd day of the show. I hope the new owners enjoy the painting for many years, thank you for your patronage. 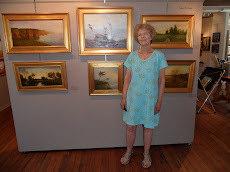 Four of my paintings are displayed in the 22nd Annual Associate Artists. This one is 16" x 20" and is done from a scene in Mystic, CT and I call it "Evening At The River". We visited Mystic on one of our frequent trips to Old Lyme, CT. Both towns are fun to visit and the surrounding country side offers many beautiful scenes for paintings. The other three paintings in the Associate Artist show are the three small 5" x 7" paintings shown in the previous post. More shows coming up in February. I am blown away by your paintings! Please post more pictures for us to drool over! LOL! I just posted a few paintings for a group show I'm participating in starting June 24th. Sorry I took so long updating my blog. I have a large painting i recently finished that I hope to post soon. I just posted the painting "Spring Morning" which is the largest painting I've done, 30"x48". Hope you enjoy reading about it's new home at Castle Inn, Crane Estate Ipswich, MA. I'd be glad to hear your impressions of the painting. Thank you for your nice comment. I have a few new paintings that I hope to post this week. Getting a new positive comment is so encouraging and makes me happy.